Maine fishermen have a long history of being involved in fisheries management. Communication between harvesters and policymakers has been instrumental in the development of rules and regulations that have helped to sustain the region's coastal fisheries—from clams to alewives to lobsters. In part, this success results from the deep understanding of the natural environment held by fishermen. "Local ecological knowledge" is a term used to describe the collective perceptions held by a particular group about their environment, resulting from the transmission of cultural knowledge from one generation to the next, combined with regular and persistent interactions between people and the environment. Fishermen's experience-derived "local ecological knowledge" can be equally valuable as data gained through modern scientific methods for informing resource management and building community resilience. Yet the very experience that forms the basis for fishermen's knowledge is being eroded by increasing specialization in Maine's fisheries, with more harvesters focusing on one or two target species. As fishermen focus on fewer types of fish, they have less access to the environment. Does this mean they are losing environmental knowledge, too? Joshua Stoll, University of Maine assistant research professor of marine policy and cooperating scientist at the Maine Center for Coastal Fisheries, worked with Emily Farr, a recent graduate of Yale University, and assistant professor Christine Beitl of the Department of Anthropology to study how fishermen's changing access to fish species over time (which Stoll documented in earlier research) has affected their knowledge of the marine environment. Marina Cucuzza, a student in the UMaine marine science and marine policy dual degree graduate program, assisted with some of the interviews. 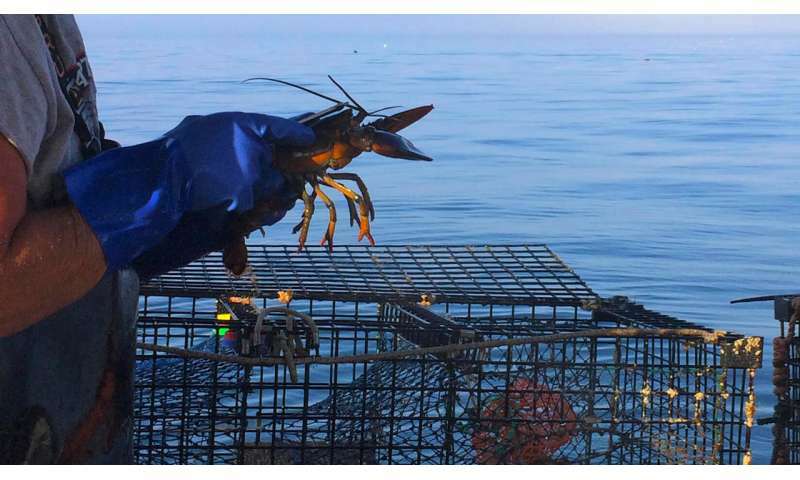 The results of their research, which was funded by Maine Sea Grant and the Eastern Maine Conservation Initiative, were published in the journal Ecology and Society in July. While preliminary, the study confirmed that the more diversified a fisherman's activity, the broader the scope of his or her knowledge. Their in-depth, open-ended interviews with 17 fishermen from 12 coastal towns revealed unique perspectives on the complex interactions between fish and their habitat, providing insights about local fluctuations in water temperature and weather patterns, and animal interactions. Those who fished for more species interacted with more features of the sea, resulting in a more holistic understanding of the marine environment and its dynamics. "As regulatory measures in fisheries management increasingly constrain the ability of individuals to enter diverse fisheries, these findings have significant implications for sustainability and understanding the role that institutions play in shaping local ecological knowledge more generally," wrote Farr and Stoll in the article. According to Stoll, who is affiliated with UMaine's School of Marine Sciences and the Mitchell Center for Sustainability Solutions, creation of a more flexible licensing system in Maine that would allow fishermen to shift between fisheries without undermining the sustainability of marine resources represents a significant challenge. Such a system may help to conserve local ecological knowledge at a time when fishermen's insights about the changing marine environment are needed more than ever. Stoll plans to incorporate this research into a new partnership between UMaine and the Maine Center for Coastal Fisheries, Maine Department of Marine Resources and National Marine Fisheries Service. The Eastern Maine Coastal Current Collaborative is designed to create a new science framework to support ecosystem-based fisheries management in eastern Maine.